When you live in an urbanised area, you inevitably want to create a home that takes you away from the oft-overwhelming hustle and bustle of its cramped and cloistered residents. Today’s feature dwelling does just that. 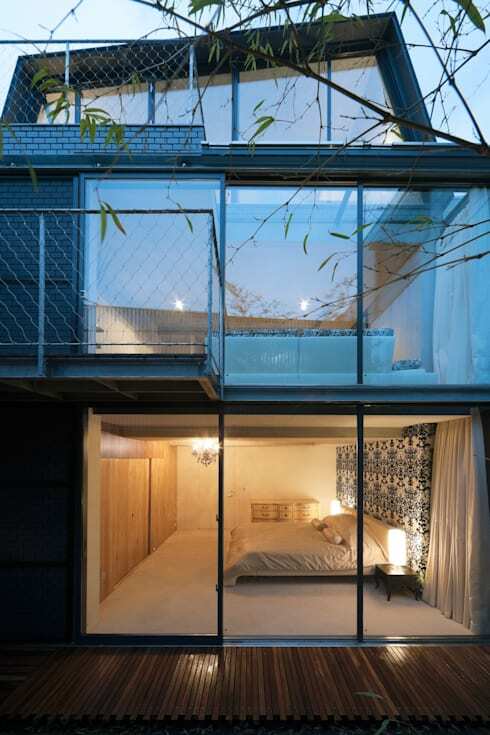 Situated in a residential suburb of Tokyo, this property has been aptly named Skycourt, for its ability to connect the home’s occupants with the city and sunlight. 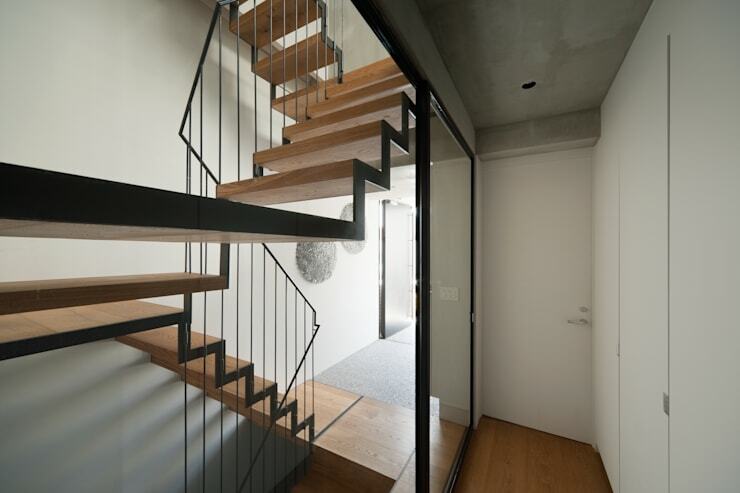 In Tokyo it is well known that space comes at a premium, and because of this, residents, homebuyers, builders and renovators are looking upward to a more vertical way of living. With some renovated dwellings the architects attempt to completely remove any notion of the house’s original appearance or form. This is often highly desired by the client, as most properties in need of refurbishment exhibit a structure that is nothing to write home about. However, today’s dwelling has been sympathetically renovated with hints of the original property. Instead of completely modifying it and altering its façade, the architects have opted to retain the general shape and structure of the home. Originally part of a set of twin houses, the clients have chosen a grey façade to sever the link with the sister house. To do this was a huge undertaking, but one that has resulted in a highly successful achievement. 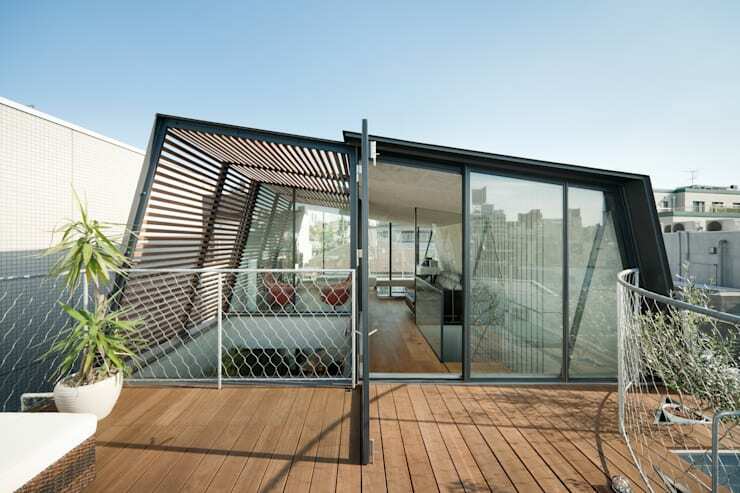 A roof terrace to die for! 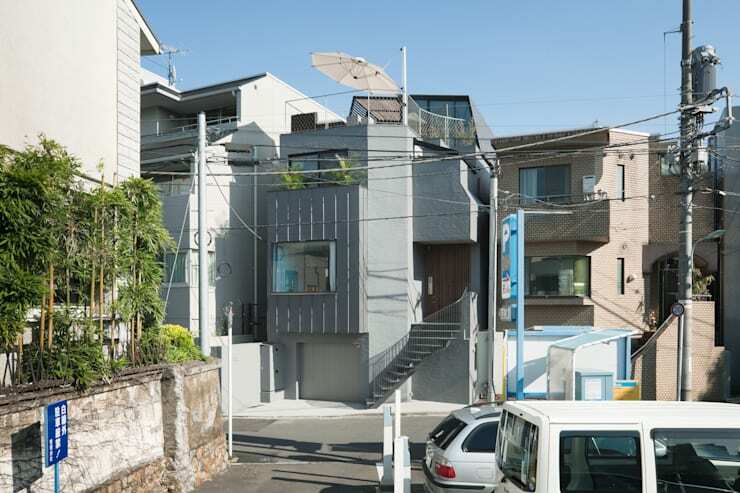 Just a couple of blocks from Tokyo’s CBD, the home was luckily situated in a quiet residential area of the city. But thanks to its position, enjoyed fabulous (but undiscovered) views of the surrounding metropolis. Within such large cities, homes are often built to the boundary or plot line. This meant that the property was without a garden. As the clients were a working couple with two children, they wanted to create an outdoor space that could be enjoyed by the whole family. This roof terrace is a multi-purpose space that works as an entertaining area, as well as a place of solace and relaxation within such as busy and hectic city. The original dwelling was dated and in need of an update. One of the biggest issues with the home was the lack of light, which contributed to a closed-in aesthetic, preventing any linkage to the outside world. 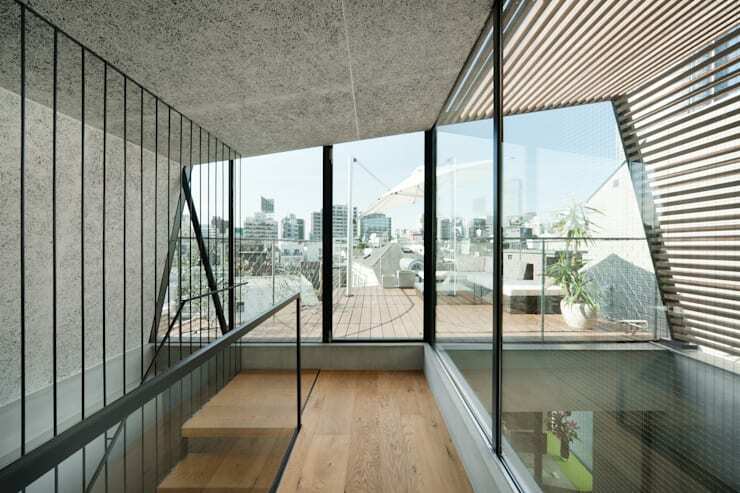 Fixing this issue, architects worked to maximise glazing, which brought huge volumes of natural light into the different interior zones, brightening and illuminating the individual spaces. Now flooded with light, the home is serene and welcoming. In this image we see how the designers and architects have worked to add an internal light well and garden area. This not only fills the home with ample illumination, but also works to bring in fresh air and ventilation. Additionally, the space acts as a separator between the kitchen and living room, but ensures cohesiveness and connectivity to the other areas of the home. Some of the nicest elements of this renovated abode are its silhouettes and geometric details. The indoor spaces are brought together with the exterior environment, while different architectural features punctuate the interior and add an interesting and thoroughly engaging aesthetic. Heading back upstairs for a second, we take a peek at the rooftop terrace from the interior of the house. 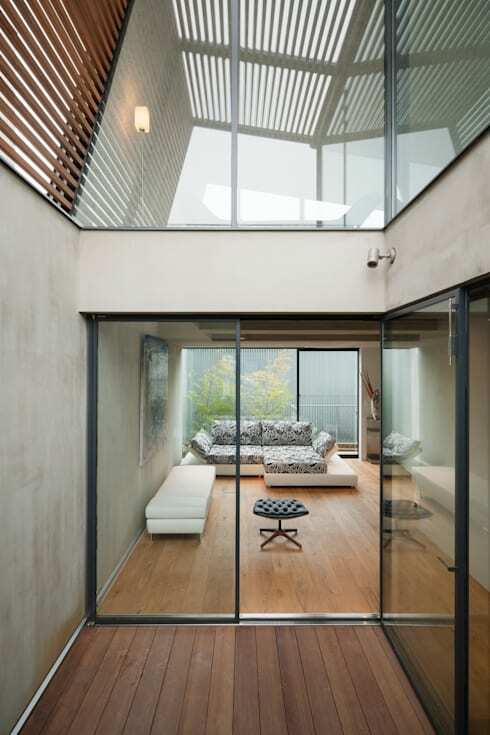 This glazed room juts out from the second storey of the dwelling in a heart shaped space. Opening up to the sky, the room is a highlight of the new design, and effortlessly integrates the city with the structure. Before we end our tour we head down stairs once again and into the minimalist kitchen and dining area. Here we see the beauty of the new interior design, and are able to enjoy the modernist ambience. The timber flooring works in contrast with the concrete ceiling, adding a spectacular juxtaposition of texture and tone. What did you like (or perhaps dislike) about this design? Let us know below!